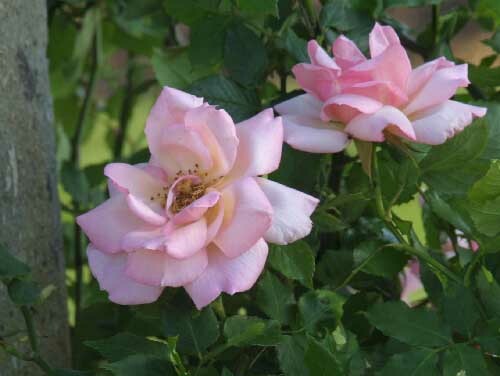 An early climbing Hybrid Tea, `Lady Waterlow' is a good choice if you want a rose for a trellis or pillar. 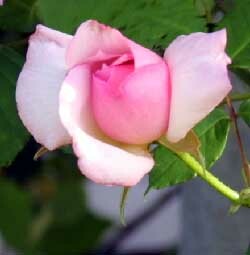 The large, open blooms, which appear often throughout the year, are a blend of pink and salmon. 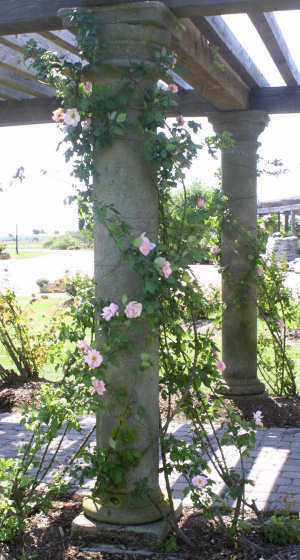 The canes can easily grow 12' long. Bred in Esterel Parc par Mandelieu, France (near Cannes) in 1903 by Clement Nabonnand.